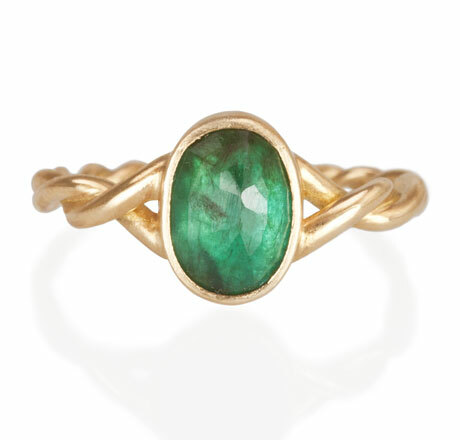 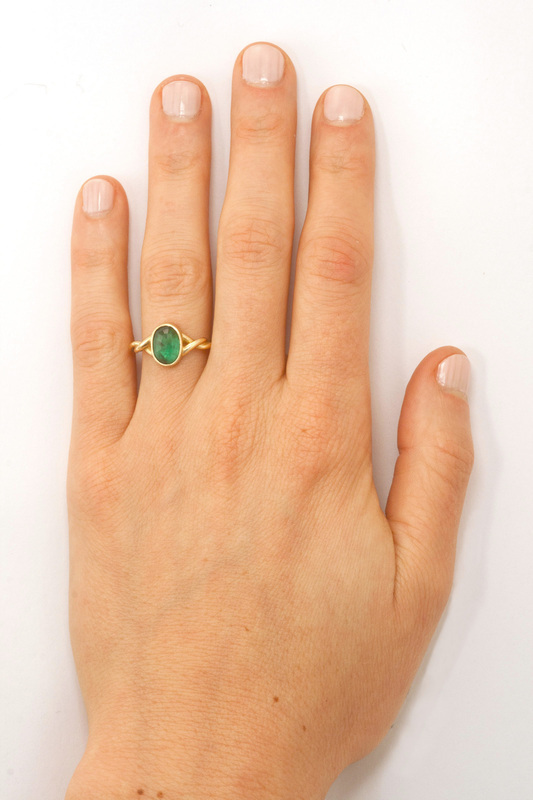 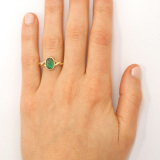 This ring is hand crafted with an 18k yellow gold twisted band and a bezel-set one-of-a-kind 1.5 ct, rose cut Emerald. 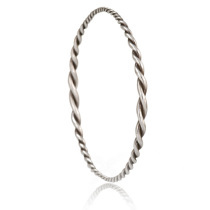 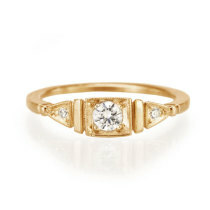 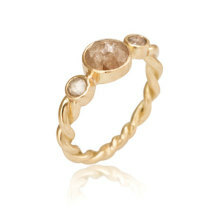 Made with recycled 18k yellow gold. 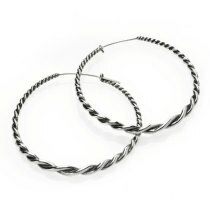 This is a made to order item and will be ready to ship in 7-10 business days. 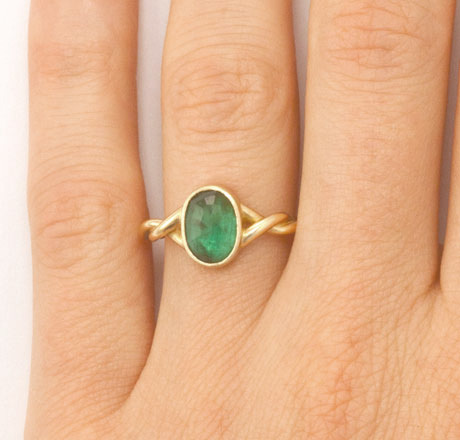 Each emerald will vary in color and shape. 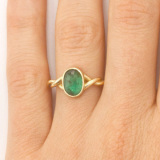 If you would like to view available emeralds before purchasing or custom order a similar piece of jewelry using another gemstone please contact info@katrinalapenne.com.